This photo is from a trip with my Grammy it is from Seed Savers Farm in Decorah, IA. 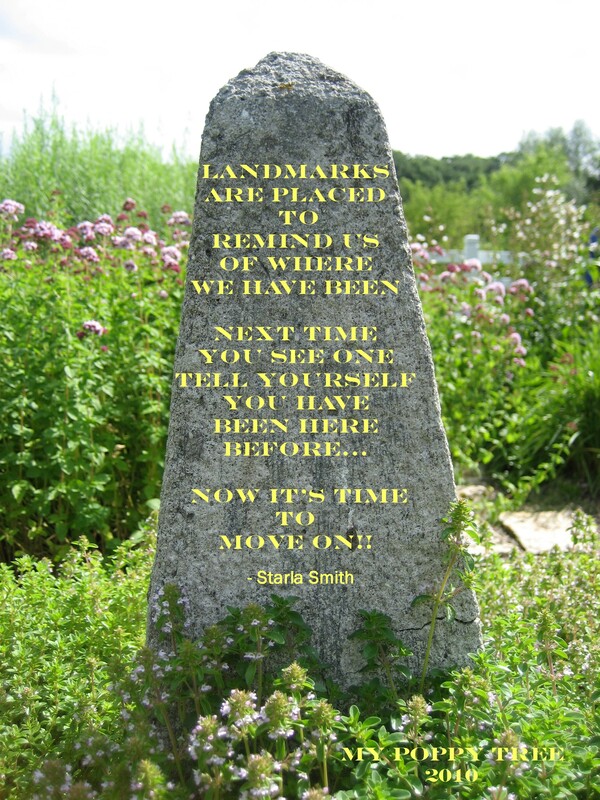 Landmarks….beautiful markers along lifes path. These can be mental markers that tell us our life’s lessons. The good, bad and the ugly. Without these markers we would be lost. We would lose our wisdom and experience. Look on the things that you go through in life as blessings…how else would we get to where we are. This is so true. And what a great reminder from you to do so! Thanks again!!! !